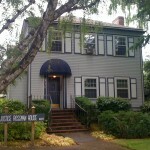 The location of Tracy’s office is in the Justice Rossman House which is a few blocks north of downtown Salem. 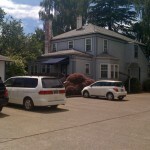 It is a quiet, professional building with ample parking in a private lot in back of the house. 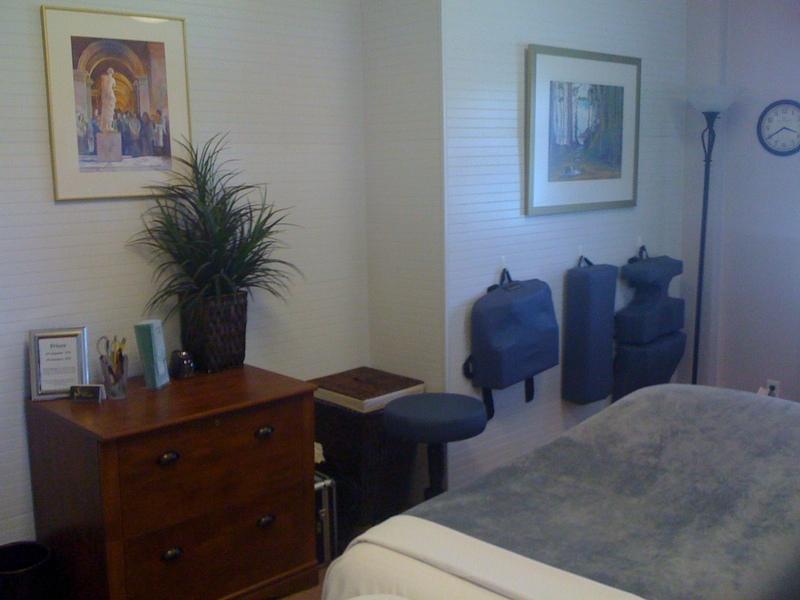 The massage room is beautifully decorated with soft lighting and relaxing colors. 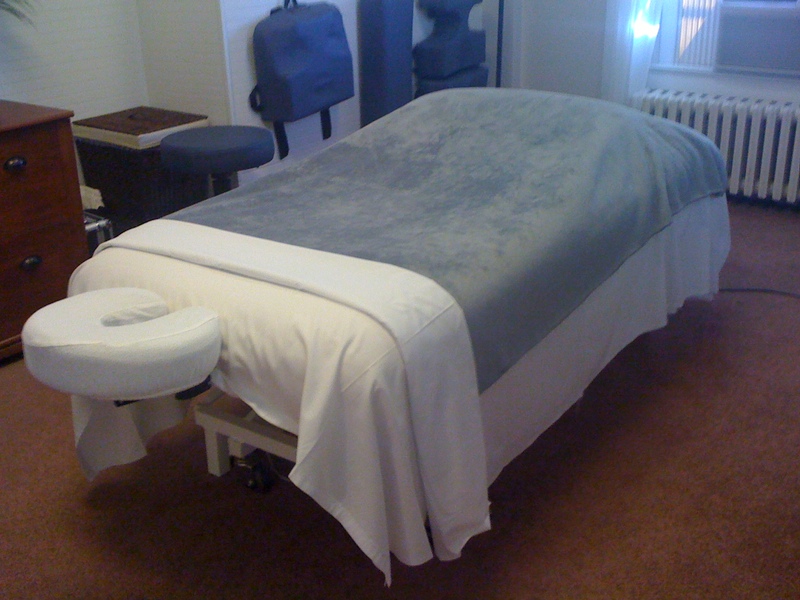 It is a safe place to unwind and being the healing process. Tracy’s office is the first room on the main floor, to the right of the front door. There is a wheelchair ramp which leads from the parking lot to the back door for those who have trouble navigating stairs. Drive East on Center Street past the state capitol building. Turn right on D street. Take an immediate left into the alley. This will lead you to a private parking lot behind the house. Drive South on River Road. Continue across Salem Parkway onto Broadway. Turn right on Summer Street. Go to the next traffic light, which will be on D Street. Turn left on D street. Go one and a half blocks, through the intersection with Capitol Street (The Justice Rossman House will be on the left). Drive West on Highway 22/Mission Street into downtown Salem. When you go across the railroad overpass, take the right hand exit to 12th Street and Willamette University. Stay in the right lane and head North on 12th Street. It will eventually curve to the left. Take a right onto Capitol Street. The next traffic light will be D Street. Parrish Middle School will be on your right. Take an immediate left into the alley which will lead you to a private parking lot behind the house.